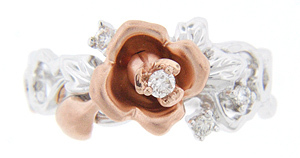 A single rose crafted of red gold and holding a sparkling diamond is the focal point of this 14K white gold antique style floral wedding band. 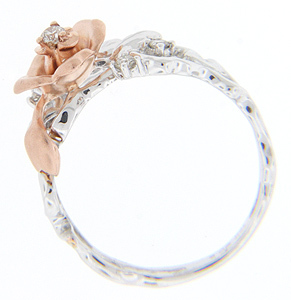 Leaf and vine designs decorated with diamonds are worked down the rings sides. 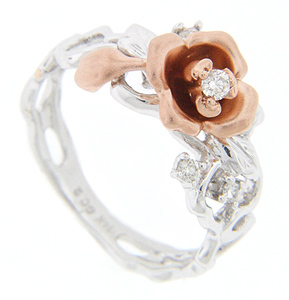 The wedding ring measures 9.3 mm in width. Size: 6 1/4. We can re-size.